If I hadn't seen these pics for myself, I never would have believed that this was the same staircase. A fairly standard staircase is transformed into a dramatic feature in the entrance hall of this home. 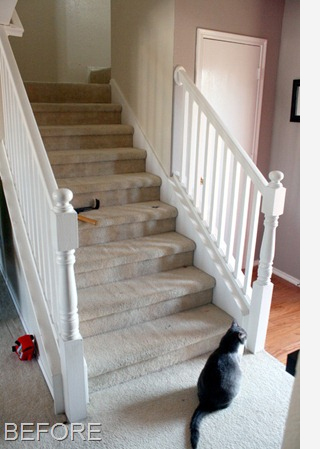 This is one DIY project that makes me wish I had a staircase to tackle this project. 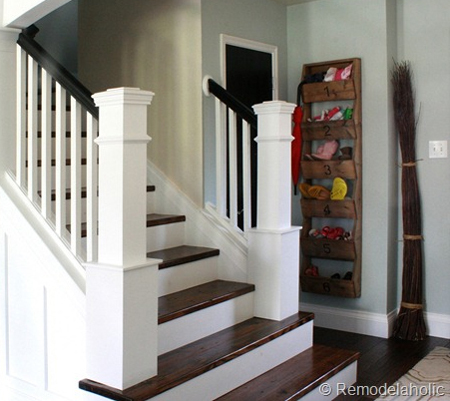 The boring bannister has been replaced with an oh so stylish mouldings and trim that make this staircase a "wow" feature when you enter the home. 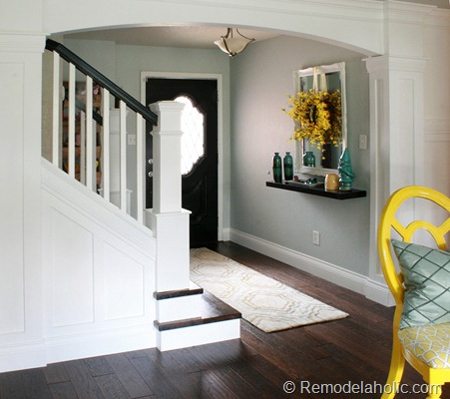 Justin and Cassity at remodelaholic have really made a big improvement. If you would like to do this to your own boring staircase, your local Builders Warehouse has a variety of mouldings and trim, as well as a wide selection of PAR pine in different widths and lengths, and search online for carved legs, or look for a wood turner for balustrades.